Pharmacologic therapy is the most common therapeutic approach towards the control and treatment of cardiac arrhythmias. The therapeutic efficacy of antiarrhythmic drugs may derive from any number (or combination) of actions, including effects on the central nervous system, sympatholytic effects, as well as direct and/or indirect effects on active and passive properties of cardiac membranes (including sodium, calcium, and potassium channels, gap junctions, and exchange mechanisms). A majority of antiarrhythmic drugs have demonstrated local anesthetic effects, in that they reduce the fast inward sodium current of cardiac fibers. 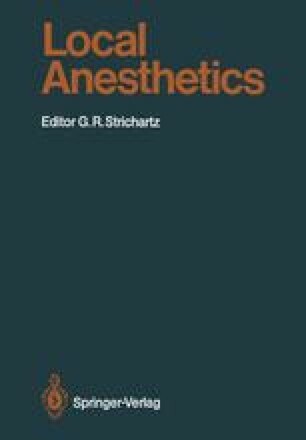 It is the purpose of this review to briefly discuss the contributions of local anesthetic effects to the actions of antiarrhythmic agents.